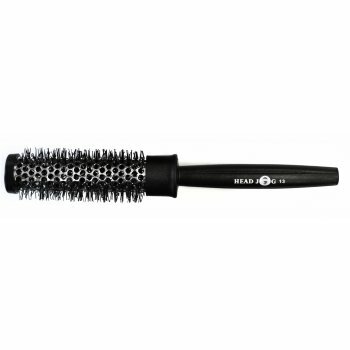 The Head Jog 13 Heat Retaining Radial Brush 25mm. Head Jog heat retaining radials are ideal for styling and blow drying in professional hair salons. A metal barrel keeps hold of heat as you blow-dry, which makes styling quicker and easier.